Apple's Safari browser, like rival Internet Explorer (IE), has lost a significant number of users in the last two years, data published Wednesday showed. The most likely destination of Safari defectors: Google's Chrome. According to California-based analytics vendor Net Applications, in March 2015, an estimated 69% of all Mac owners used Safari to go online. But by last month, that number had dropped to 56%, a drop of 13 percentage points -- representing a decline of nearly a fifth of the share of two years prior. Net Applications measures user share by sniffing the browser user agent string of visitors to its customers' websites, then tallying the various browsers and OSes. Safari's share erosion was much less than that suffered by Microsoft's browsers, particularly IE, during the same period. From March 2015 to February 2017, the use of Microsoft's IE and Edge on Windows personal computers plummeted. Two years ago, the browsers were run by 62% of Windows PC owners; last month, the figure had fallen by more than half, to just 27%. Simultaneous with the decline of IE has been the rise of Chrome. The user share of Google's browser -- its share of all browsers on all operating systems -- more than doubled in the last two years, jumping from 25% in March 2015 to 59.5% last month. Along the way, Chrome supplanted IE to become the world's most-used browser. It's impossible to be certain, but Chrome was probably the beneficiary from Safari's user share decline as well. In the last 24 months, Mozilla's Firefox -- the other major browser alternative to Chrome for macOS users -- has barely budged, losing just two-tenths of a percentage point in user share. 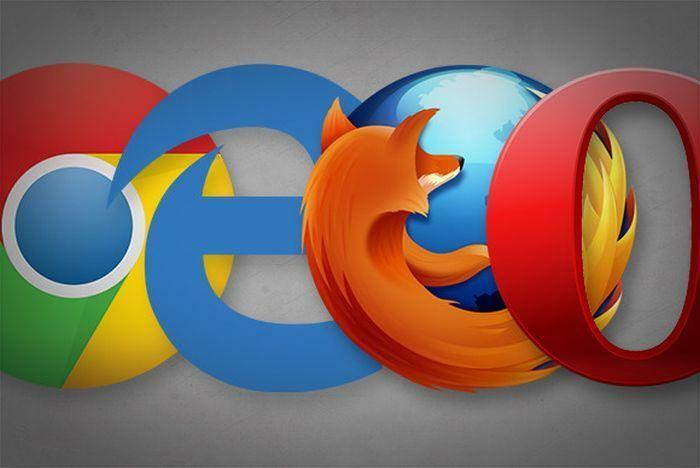 The downturn of both IE and Safari expose the fragility of what was once thought to be their biggest advantage: That they were bundled with their respective operating systems. Because they came with the operating system -- Windows in IE's case, OS X and now macOS in Safari's -- their position was believed unassailable; users, it was thought, would largely use what they were given, rather than seek out alternatives. Microsoft became the agent of IE's destruction when the company unexpectedly called for the retirement of most versions of the browser, and told customers they must upgrade to IE11. Faced with that, many instead simply deserted to Chrome. Apple did not make that same mistake, so reasons for Safari's decline are muddier. One possibility: Those who used both Windows and OS X/macOS -- perhaps one at work, the other at home -- may have shifted to the common denominator of Chrome for the convenience of bookmark and password synchronization. Under that theory, a small increase of Chrome on OS X/macOS was simply a side effect of the much larger rise of Chrome on Windows.